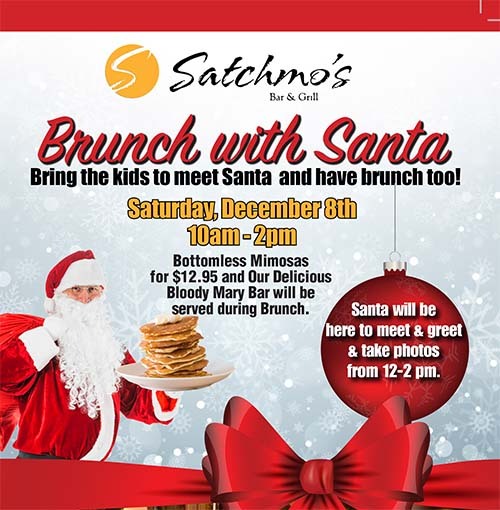 Saturday Brunch with Santa! | An award winning restaurant and venue of sporting events and live music. Santa’s taking a break from his busy schedule to join us for a Saturday Brunch!! Now you can meet and greet with the big guy himself. Just be here from 12-2 pm on Christmas Eve. Saturday, December 8th, we will be opening a little earlier than usual, and from 10:00 am to 2:00 pm we’ll offer made from scratch, chef prepared brunch favorites including Eggs Benedict, Omelets, Pancakes, Biscuits and Gravy, French Toast, Sandwiches, Wraps, and more! 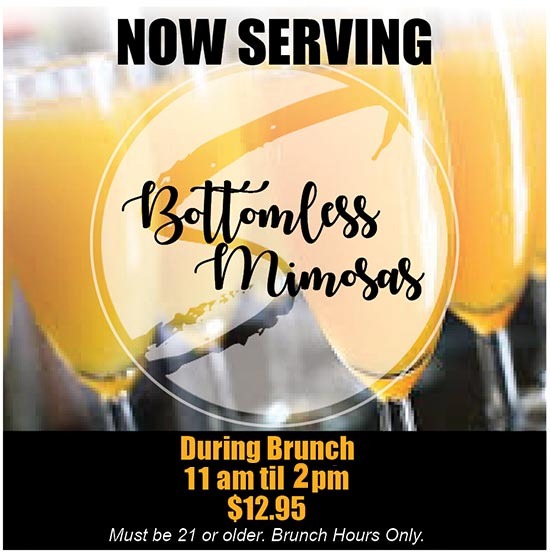 We’ll be featuring a Bloody Mary Bar, as well as our Bottomless Mimosa special! 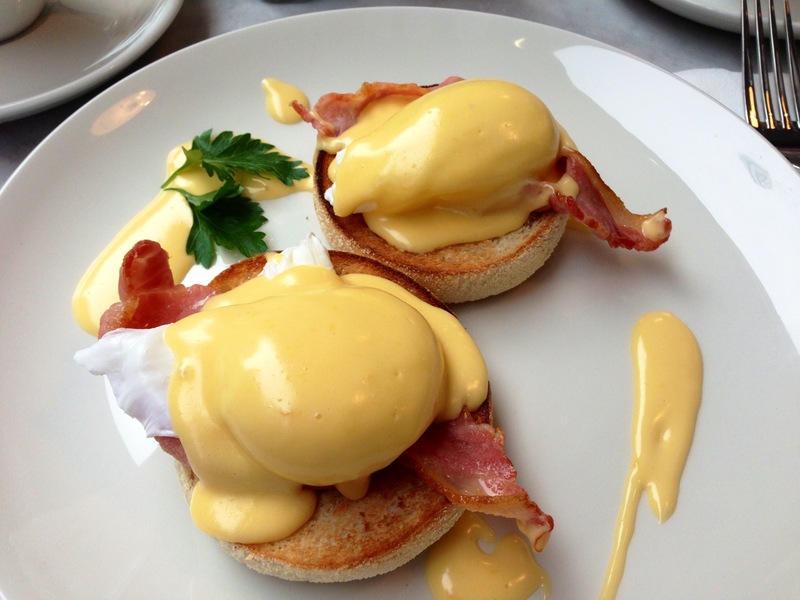 Treat the family to a brunch they wont soon forget, and remember… Santa’s watching!